After more than three years of debate, the House of Assembly of Bermuda has finally passed legislation to allow casino gaming on the Caribbean island. The Casino Gaming Act 2014 enables up to three venues to operate at any one time and will see the introduction of casinos to Bermuda for the first time. As a British Overseas Territory, the island is represented by Britain in foreign affairs, but is a self-government nation ruled by One Bermuda Alliance (OBA) since 2012. 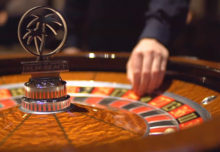 During the run-up to the general election, OBA pledged to hold a referendum on casinos, but reversed the decision to bring a swift passage of the law, leaving the subject a sensitive issue for opponents. Bermuda Tourism Minister Shawn Crockwell, who tabled the legislation, described the bill as the “most important component in ensuring we have the best regime and administrative structure to effectively oversee the domestic casino gaming industry.” He also noted the decision to forego the referendum was “difficult” but recent polls show 76pc of residents support casinos. 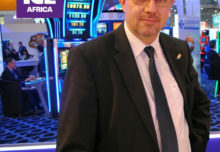 The government initiated a public education program early last year to outline its “vision, goals, objectives and measurable outcomes associated with casino gaming,” explained Crockwell, adding that the government has “worked diligently” to gauge public option and establish a transparent gaming industry that acts as a fundamental pillar of developing a national long-term tourism plan. Anti-casino activists, predominantly made up of church groups, have consistently lobbied against the bill since its conception, expressing concern that OBA failed to honour its promise of upholding the referendum. “To rush [the Casino Gaming Act] through at this time and in this manner seems a cynical ploy by the government and it is not conducive to good governance,” wrote political activist Jonathan Starling. While recognising antagonism towards the measure, the Tourism Minister remains confident that casinos are right for the island. 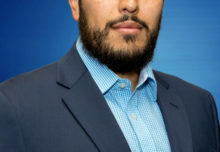 He said that in addition to developing tourism in Bermuda, casinos would serve as a catalyst for job creation and new business opportunities. Crockwell also explained that the legislation would be “substantially augmented” by future regulations. “The bill represents a significant and critical adjustment to our tourism product and Bermuda as a destination,” said Crockwell. “Following extensive review and analysis, the government decided to embrace the integrated casino resort model for Bermuda. Although we will be unique and maintain our special Bermuda brand, this model is similar to the Aruban and Singaporean casino models.” Officially becoming law on December 13, 2014, the 117-page Casino Gaming Act 2014 specifies that no more than three casinos can operate at any one time, but the Minister can, after consultation with the Casino Gaming Commission, select more than three sites as being suitable for a casino. Each facility must be part of an existing or new hotel, which aims to attract integrated casino operators. Under the law, the Minister is in charge of designating the casino sites, appointing a five-member Commission, which will issue up to three licenses and regulate the industry, and appoint a Problem Gaming Council. The Commission will be given the power to approve the layout of a gaming facility, slot machines and table games installed, as well as issue licenses for key casino employees. All casino advertising on the island will have to be approved by the Commission and ATM machines will be banned from the premises. Proceeds of tax on gross gaming revenue will be used to regulate the industry and programs approved by the Problem Gaming Council. Harsh penalties are in place for money laundering, counterfeiting casino chips, or impersonating an employee license holder. “In comparison to other countries and island nations we are entering the game late but we have taken the approach of learning from others by introducing legislation that takes into consideration the pitfalls and mistakes made by other jurisdictions and positively set us apart from the rest of the world,” concluded the Tourism Minister. “This is imperative for our tourism revival.” Spearheaded by Crockwell, the Bermudan tourism industry now seeks to make conditions attractive to potential investors. A feasibility study commissioned in 2009 was the first move to assess casinos in Bermuda and estimated the net economic impact of three casinos on the island to be $94m, with $34m in revenue for the public sector per year.